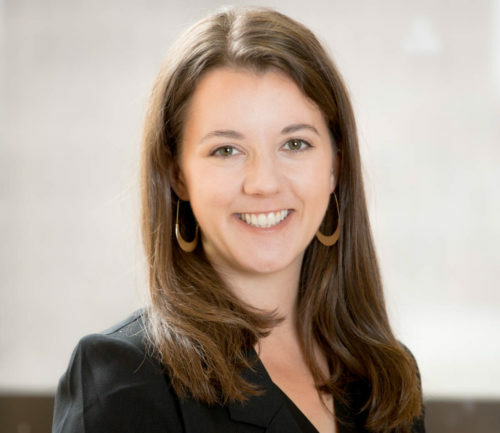 Nichole Hanus joined E3’s distributed energy resources group in 2018. Her current work focuses on cost-benefit analysis and long-term strategic planning for the electrification of transportation and buildings. On a recent project, Nichole used E3’s EVGrid tool to create electric vehicle charging profiles based on probabilistic models, which helped a utility develop a state-specific vehicle electrification strategy. Her background in behavioral decision sciences can help future clients better understand consumer behavior, particularly as it relates to electric vehicle adoption. Before graduate school, Nichole worked at a consulting firm that specializes in building energy efficiency. This informed her doctoral research, which employed engineering and behavioral decision sciences to characterize commercial building investment decisions, utility ratepayer accountability strategies, and distributed generation viability. As an undergraduate, Nichole researched how information can augment community-based energy conservation. E3’s impact on energy policy and the intellect and curiosity of its employees drew Nichole here. She is most energized when she is outside, doing anything from backpacking to gardening. Her love of nature inspires much of her passion for reducing carbon emissions.